Don’t stress about missing your flight – travel to the Louis Armstrong New Orleans International Airport on time and with ease. 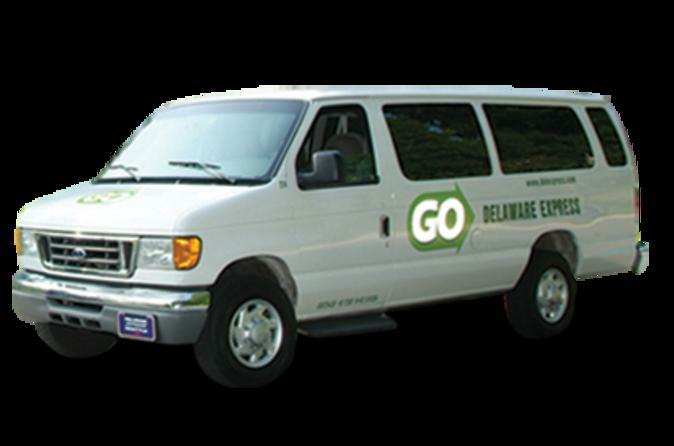 This shared-ride door-to-door transfer is the most economical and efficient mode of transportation. You can choose to be picked up from one of two destinations in the area – your New Orleans downtown hotel or the cruise terminal – and driven in comfort to the New Orleans airport. Transfer services are available from 3am to 2am, seven days a week. Whether you have been enjoying time in New Orleans or you’re arriving from a cruise vacation, enjoy this stress-free way to travel to the Louis Armstrong New Orleans International Airport for your flight home. Choose from two pickup options: Your New Orleans hotel or cruise ship terminal. When making a booking, please note your flight departure details and full address of your New Orleans downtown hotel or the details of your pickup cruise port. Your transfer will be confirmed instantaneously and you will be provided with a travel voucher to present to the driver. Be sure to call at least 24 hours in advance to reserve exact pickup time. This transfer cannot be used for transit between ports and hotels.